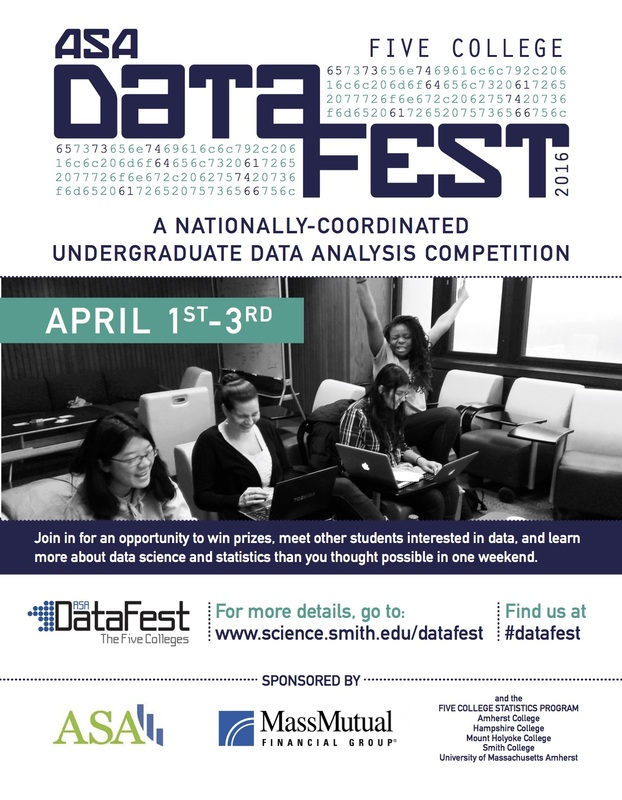 The 2016 FiveCollege DataFest poster is here! Feel free to print and post anywhere you like. Or, share it on social media! 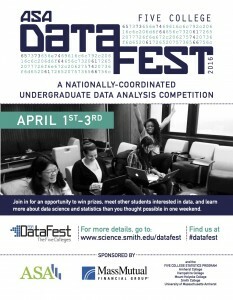 On twitter, @FiveCollegeStat will be tweeting about DataFest, and using the hashtag #datafest. Available as a pdf or a jpeg.